Maranda joined Cribstone Capital in 2012* as a client service manager, assisting clients with opening accounts and support in all aspects of investment management. Her role includes retirement plan administration working with human resource departments for many organizations, assisting employees with retirement plan contributions and account rollover transactions as well as working with third-party administrators. 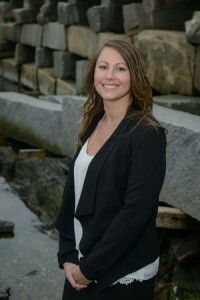 Maranda previously worked for four years as an Operations Supervisor with Public Consulting Group in Augusta, Maine. While there, she led an initiative that entailed collaborating with insurance companies and the State of Maine to secure reimbursement for a significant number of physicians who had not been paid for services performed for Medicare and Medicaid recipients. Prior to that, Maranda was a MaineCare Provider Relations Specialist for the BONNEY Staffing Center. Maranda has attended the University of Maine at Augusta. She is a native Mainer and lives in Hallowell with her husband, Matt Barrera and two sons, Ashtyn and Brady. Maranda loves to spend time with her family, and also enjoys many outdoor activities like hiking, cycling and kayaking. * Any reference to Cribstone Capital Management prior to May 2015 refers to the group’s affiliation with Ameriprise.